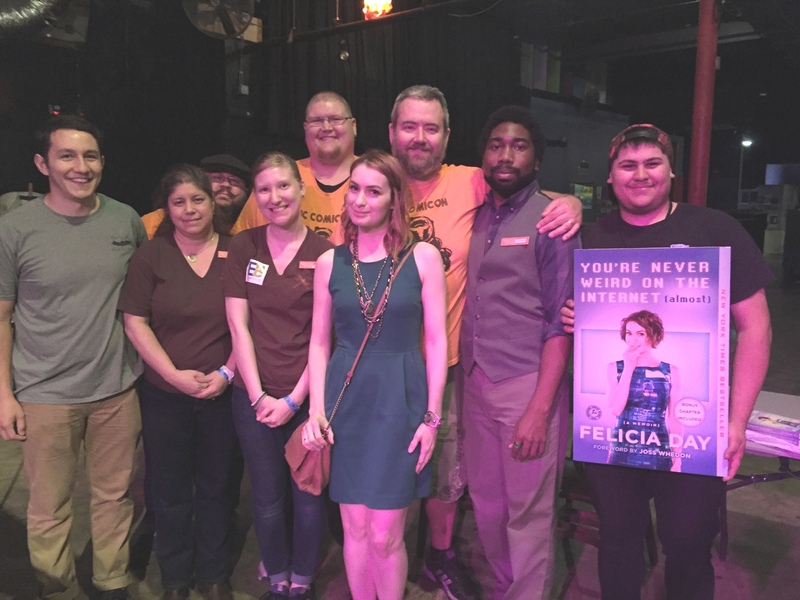 Felicia Day (center) with owner Jamie Fiocco (second from left) and members of Flyleaf's staff. 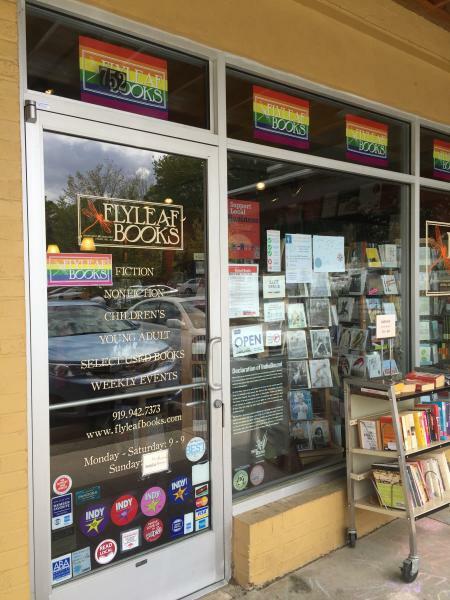 Among other steps Flyleaf has taken to fight the law, it's posted a rainbow/gay pride version of its logo on the front door, across the top of the store's window and on the website, and has created in-store displays on the subject. In addition, last Thursday, April 21, Flyleaf and Small Business Majority hosted a Roundtable on Workplace Nondiscrimination, HB2, and Your North Carolina Small Business, for small business owners, town staff and elected officials to discuss nondiscrimination policies in the state. In yet another major change in book distribution and wholesaling this year--following Follett's purchase of Baker & Taylor and Bookmasters and Ingram's purchase of Perseus's distribution operations--Readerlink Distribution Services, the main distributor of books to mass merchandisers, has bought Anderson Merchandisers, Shelf Awareness has learned. Including ANConnect, the company sells books and a variety of entertainment merchandise to non-traditional retailers. Anderson Merchandisers has been owned by Anderson Media, one of several companies owned by the Anderson family, whose roots go back almost a century to a newsstand in Florence, Ala. Another Anderson family business is Books-A-Million, the bookstore chain that went private last year. Just over a year ago, Readerlink bought two parts of Baker & Taylor--its warehouse club business, including the B&T Marketing Services distribution center in Indianapolis, Ind., and B&T's publishing operations. B&T's warehouse club business was built mainly on the Advanced Marketing Services operations that it purchased in 2007 after AMS collapsed. The Anderson family has a long history of book wholesaling, including the Books-a-Million division American Wholesale Book Company. Anderson Merchandisers has roots in Western Merchandisers, the books and music wholesaler that was the parent of Hastings Entertainment. In 1990, Western became a subsidiary of Wal-Mart, which in 1994 sold Western to Anderson Media. Anderson Media then changed the name of Western to Anderson Merchandisers. For years, Indianapolis Colts quarterback Andrew Luck has been known for recommending books to teammates and others. Now the NFL star has brought some organization to his off-the-field passion and founded the Andrew Luck Book Club. "I've been called the unofficial librarian of the Colts, which is kind of cheesy," Luck told ESPN. "But the truth is that I love to read both fiction and nonfiction and I feel strongly about the power of reading. So I thought, 'Why not start a real book club?' "
The Andrew Luck Book Club has two tiers: Rookies, which includes books Luck loved to read when he was younger, and Veterans, selections from his adult life. His first Rookies pick is Maniac Magee by Jerry Spinelli (Little, Brown Books for Young Readers), a Newbery Medal winner about an orphan who becomes an athletic legend. Luck's first Veterans pick is The Boys in the Boat: Nine Americans and Their Epic Quest for Gold at the 1936 Berlin Olympics by Daniel James Brown (Penguin). Luck set up the site with his uncle Will Wilson, who's also his agent. He'll do some q&a sessions with readers and is using social media to build a community of readers. In a nice twist, the site provides links to local libraries and bookstores to borrow or buy the book. The club isn't about making money; Luck explained: "I just want people to experience the joy that I do when I read." 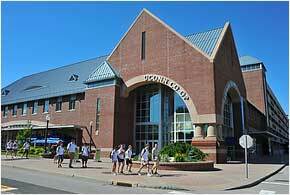 Despite extensive expressions of support for the UConn Co-op, the board of trustees of the University of Connecticut voted yesterday to outsource store operations at its 10 campuses to Barnes & Noble. As part of the deal, B&N will open a store in downtown Hartford, next to the new campus the university is building as it relocates its West Hartford facility. In its announcement, the university emphasized that "revenue generated by the affiliation will be devoted to financial aid and student support." The university had earlier made it clear that B&N's promised contributions of millions of dollars a year to the school were very attractive. This is the second outsourcing coup in a week for B&N, which was chosen by the University of North Carolina at Chapel Hill to run its store operations, including the Bull's Head Bookshop. Amazon: More Pickup Locations; Less Redlining? This fall, Amazon is opening a staffed pickup location at California State University, Long Beach, similar to the locations it's opened in the past two years at Purdue University, the University of Massachusetts at Amherst and the University of California, Berkeley, as well as off campus near the University of California, Santa Barbara, and the University of Cincinnati. It plans to open five more locations this year, at the University of Pennsylvania, University of California at Davis, the University of Texas at Austin and the Georgia Institute of Technology, as well as near the University of Akron and the University of Connecticut. The Cal State Long Beach location will be called Amazon@TheBeach and will be at the University Bookstore on campus. At 2,500 square feet, the location will allow students and others to pick up and return Amazon orders. The University Bookstore is managed by the Forty-Niner Shops, a nonprofit auxiliary partner to the campus since 1953. The Forty-Niner Shops also operate the Art Store, Campus Copy Center, ID Card Services, Retail Dining, Residential Dining, Convenience Stores, Catering, Concession Services, and the Beach on 2nd Street offsite apparel store. In the wake of a recent Bloomberg study that found Amazon is avoiding some urban neighborhoods with predominantly black and poor populations, the online retailer said it will bring same-day delivery to Boston's Roxbury neighborhood, Bloomberg reported, noting that Boston "was the only city with a hole in its center--an area where no service was available surrounded on all sides by neighborhoods that received it." "We are actively working with our local carrier to enable service to the Roxbury neighborhood in the coming weeks," Amazon commented in an e-mail. Bloomberg added that the change follows calls by Boston Mayor Martin Walsh and U.S. Senator Edward Markey to bring the service to the entire city. "It's about simple fairness and being a good corporate citizen," said city councilman Tito Jackson, who represents Roxbury and also encouraged Amazon executives to bring service to the neighborhood. "You can't allow big data to make you a big dummy." In Illinois, U.S. Representative Bobby Rush urged the Federal Trade Commission to investigate the company's same-day delivery boundaries: "Despite Amazon.com's assertions of impartiality and a numbers-based approach to the availability of this service, its implementation has been disparate and seemingly, discriminatory,” Rush wrote in a letter to Amazon CEO Jeff Bezos. "I urge you to take corrective actions as soon as possible to right these wrongs." James Chalmers, co-founder of the Canadian Manda Group, died on Monday at the age of 73 after a short battle with cancer. Born in Scotland, he immigrated to Canada in 1956. In 1977, with David Drew, Chalmers founded Canadian Manda Group, a leading commission sales force for books, stationery and gifts to retailers, libraries and wholesalers. A celebration of Chalmers's life will be held at Islington Golf Club, 45 Riverbank Drive, Etobicoke, Ont., on Tuesday, May 3, from 1-4 p.m., with remembrances shared at 2 p.m. No flowers, but donations can be made to the Dorothy Ley Hospice. Who doesn't love a dog relaxing with a good book? Maggie (her human is FSG's Spenser Lee) recommends Jonathan Safran Foer's Here I Am. Foer (without Maggie) will be signing at BEA on Wednesday, May 11, at 2 p.m. in the Macmillan booth (#1958). Books & Books has hired Dustin Kurtz to manage its Cayman Islands store. Kurtz was marketing manager for Melville House Publishing, and prior to that, he worked as a bookseller at McNally Jackson in Manhattan and WORD Bookstore in Brooklyn. He joins the Books & Books team effective this month. "We are fortunate to have someone of Dustin's caliber join our team in Cayman," said Books & Books owner Mitchell Kaplan. "He comes to the island with broad and deep bookselling and publishing knowledge, and we couldn't be more excited in welcoming him." "It feels like a homecoming," Kurtz noted. "I'm hugely excited to be a bookseller again after years away. The store is, I think, an object of fascination for so many in the industry--this island outpost of one of the world's great independent bookstores. It's been a real thrill for me to come down and find all of the ingredients that make up any good indie in the States: a passionate staff, a supportive local community and a beautiful space full of great books." Showcasing the "top 33 bookstores in Toronto by type," blogTo wrote that the city's booksellers "haven't all packed up shop just yet. On the contrary, a survey of the city's book scene reveals that bricks and mortar shops are still plentiful despite the near-constant doom and gloom we hear related to online sales. In fact, the local book shops that have been the most resilient in the face of competition are independent outfits with a specific focus." After nearly 15 years with the company, Mary Rowles is retiring as publisher development manager at Independent Publishers Group, effective Friday, May 6. Richard T. Williams, formerly director of IPG's Small Press United (SPU) division, will become the director of publisher development. He started with the IPG sales team in 2005. Rowles began her publishing career at the Bookman, the regional wholesaler in Minneapolis, then became a sales rep for W.H. Smith/Mayflower Books, St. Martin's Press and a commission sales rep with Heinecken Associates. She was children's book buyer at the Book Stall at Chestnut Court in Winnetka, Ill., and worked at the LPC Group before joining IPG as trade sales manager in 2001. She commented: "My 40-plus years in publishing have brought much joy, and blessed me lifelong friends. Some of the best of them are the publishers I have come to know through IPG. It has been a pleasure to be a part of the growth and transformation of this company." Poor Little Guy by Elanna Allen (Dial Books), a trailer featuring a voiceover by Edd Hall, the announcer for the Tonight Show for 12 years. CBS This Morning: Chris Anderson, author of TED Talks: The Official TED Guide to Public Speaking (Houghton Mifflin Harcourt, $28, 9780544634497). Dr. Oz: Amanda Berry, co-author of Hope: A Memoir of Survival in Cleveland (Penguin Book, $17, 9780143108207). Meredith Vieira: Emily Maynard Johnson, co-author of I Said Yes: My Story of Heartbreak, Redemption, and True Love (Thomas Nelson, $24.99, 9780718038403). Also on Meredith Vieira: Fredrik Eklund, co-author of The Sell: The Secrets of Selling Anything to Anyone (Avery, $16, 9781592409525). Late Night with Seth Meyers repeat: David Duchovny, author of Bucky F*cking Dent: A Novel (Farrar, Straus & Giroux, $26, 9780374110420). A trailer has been released for Cell, based on Stephen King's 2006 novel, Indiewire reported. Directed by Tod Williams (Paranormal Activity 2), the film stars John Cusack, Samuel L. Jackson, Isabelle Fuhrman and Stacy Keach. It will be available as VOD June 10 and enter limited release July 8. 7:45 p.m. Elaine Showalter, author of The Civil Wars of Julia Ward Howe: A Biography (Simon & Schuster, $28, 9781451645903), at Politics & Prose in Washington, D.C.
Joy Williams has won the PEN/Malamud Award for Excellence in the Short Story. The author of four collections of short fiction, four novels and two works of nonfiction, Williams will receive the $5,000 prize on December 2 at the Folger Shakespeare Library as part of the PEN/Faulkner Reading Series. Richard Ford, a member of the selection committee, said, "Joy Williams' short stories are, sentence to sentence, incandescent, witty, alarming, often hilarious while affecting seeming inadvertence (but not really) in their powerful access to our human condition. 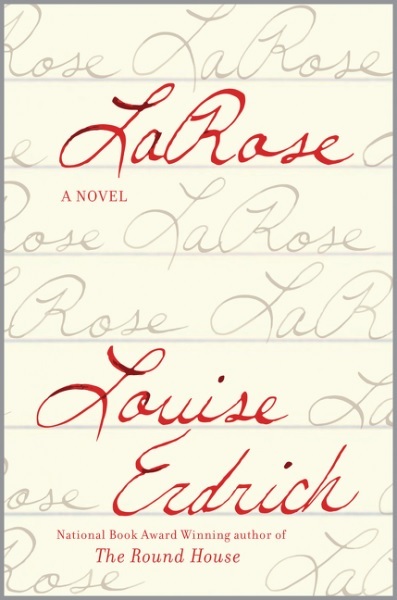 She is a stirring writer and has long been deserving of the Malamud Award." The winner receives $7,500 and all travel and expenses for a one-week summer residency at Chautauqua. Ruthless: Scientology, My Son David Miscavige, and Me by Ron Miscavige and Dan Koon (St. Martin's Press, $26.99, 9781250096937) is a memoir from the father of the current leader of the Church of Scientology. TED Talks: The Official TED Guide to Public Speaking by Chris Anderson (Houghton Mifflin Harcourt, $28, 9780544634497) gives public speaking advice from the head of TED. Everyone Brave Is Forgiven by Chris Cleave (Simon & Schuster, $26.99, 9781501124372) follows two British citizens during World War II, inspired by the author's own grandparents. Five Presidents: My Extraordinary Journey with Eisenhower, Kennedy, Johnson, Nixon, and Ford by Clint Hill and Lisa McCubbin (Gallery, $28, 9781476794136) chronicles the career of a secret service agent. The Winter Fortress: The Epic Mission to Sabotage Hitler's Atomic Bomb by Neal Bascomb (Houghton Mifflin Harcourt, $28, 9780544368057) chronicles the efforts to destroy Norway's heavy water plant during World War II. Five Easy Theses: Commonsense Solutions to America's Greatest Economic Challenges by James M. Stone (Houghton Mifflin Harcourt, $26, 9780544749009) offers fixes for problems like income inequality and high healthcare costs. The Art of Murder by Elaine Viets (NAL, $25, 9780451476135) is the 14th Dead-End Job mystery. The Curious Charms of Arthur Pepper by Phaedra Patrick (Mira, $24.99, 9780778319337) follows a widower searching for the truth behind his late wife's mysterious gold bracelet. Redemption Road: A Novel by John Hart (Thomas Dunne, $27.99, 9780312380366) is a literary thriller. The Woman in Blue by Elly Griffiths (Houghton Mifflin Harcourt, $25, 9780544417854) is the eighth Ruth Galloway mystery. The Versions of Us by Laura Barnett (Houghton Mifflin Harcourt, $26, 9780544634244) explores different versions of one couple's possible lives together (and apart). Visual Intelligence: Sharpen Your Perception, Change Your Life by Amy E. Herman (Eamon Dolan/Houghton Mifflin Harcourt, $28, 9780544381056) is a book version of an art historian's seminar called the Art of Perception. The Assassination Complex: Inside the Government's Secret Drone Warfare Program by Jeremy Scahill and the Staff of The Intercept (Simon & Schuster, $30, 9781501144134) explores the drone assassination program, with a foreword by Edward Snowden and afterword by Glenn Greenwald. Red Platoon: A True Story of American Valor by Clinton Romesha (Dutton, $28, 9780525955054) is the firsthand account of a Medal of Honor recipient's 14-hour firefight in Afghanistan. Grit: The Power of Passion and Perseverance by Angela Duckworth (Scribner, $28, 9781501111105) explores the elements of success. Naruto: Sakura's Story by Tomohito Ohsaki and Masashi Kishimoto (VIZ Media, $10.99, 9781421584423). Finding Fraser by KC Dyer (Berkley, $15, 9780399584367). Fellside by M.R. Carey (Orbit, $27, 9780316300285). "Let's say you've been convicted of murder and sent to a maximum security prison for the remainder of your life, which should be a while since you are not that old. Then let's say that not only can you not remember killing anyone, but you can't remember who you are. Could things get any worse? How about if the ghost of the little boy you supposedly killed visits you in prison to ask for your help. What do you do? From the author of The Girl With All the Gifts comes another gripping and unforgettable story." --Linda Bond, Auntie's Bookstore, Spokane, Wash. The Railwayman's Wife: A Novel by Ashley Hay (Atria, $26, 9781501112171). "The Railwayman's Wife is a remarkable story drenched by the wells of sadness, yet it leaves readers marveling at the beauty of it all. Annika Lachlan is grieving her beloved husband and attempting to find solace in books. But the town of Thirroul, Australia, is home to more than one person damaged by grief. Brought together as members of a club no one would choose to join, each begins to move towards healing. The Railwayman's Wife immerses the reader in Ani's life, and as one savors the novel's heartbreaking prose, a world is revealed in which hope and grief are forever intertwined and love may be the strongest current of all." --Luisa Smith, Book Passage, Corte Madera, Calif. The Red Parts: Autobiography of a Trial by Maggie Nelson (Graywolf, $16.99, 9781555977368). "If I could read the work of only one writer for the rest of my life, I think I would be happy to spend the rest of my days in the staggering beauty of Nelson's prose. In The Red Parts, what could have merely been a relatively interesting true crime narrative becomes, instead, a wholly original memoir of pain, history, family, and those bright moments of clarity in a world that, for Nelson, had become so dark. This book asks us to wonder, to be angry, and ultimately to become more human. This is an inescapable, utterly compelling read." --Claire Tobin, Literati Bookstore, Ann Arbor, Mich. When Green Becomes Tomatoes: Poems for All Seasons by Julie Fogliano, illustrated by Julie Morstad (Roaring Brook, $18.99, 9781596438521). "These poems are filled with thoughtfulness, sprinkled with touches of humor and accompanied by images that gently resonate. The double-page spreads are masterful and I love how they extend with bands of color and invite the eye to follow. The seasons unfold with surprising detail and awaken the senses. A true gem!" --Mary Alice Garber, Politics and Prose Bookstore and Coffeehouse, Washington, D.C.
Fablehaven by Brandon Mull (Aladdin Paperbacks, 9781416947202, $7.99). "Siblings Kendra and Seth barely know their grandparents and are dismayed at the idea of staying with them while their parents are on vacation. That is, until they learn that their grandparents are caretakers of Fablehaven, a sanctuary set up to protect magical creatures from extinction. There are many rules that surround Fablehaven, for not all magical creatures are warm and fuzzy and disobeying the rules can have disastrous consequences. Engaging characters, both human and nonhuman, surprising plot twists, and many hold-your-breath moments will keep readers turning pages and clamoring for the next book in the five book series." --Heather Hebert, Children's Book World, Haverford, Pa.
Graceling by Kristin Cashore (Houghton Mifflin Harcourt, $9.99, 9780547258300). "Graceling is an exquisite novel of adventure, intrigue, and romance. Katsa, the heroine, is 'graced' with extraordinary ability. As Katsa questions her service to her power-hungry uncle, her life changes when she meets Prince Po and they begin to change their worlds together." --Christy McDanold, Secret Garden Bookshop, Seattle, Wash.
Landreaux and his wife, Emmaline, have recovered from substance abuse and raised a strong young family by turning to traditional Ojibwe culture and religion. But as the reservation priest Father Travis observes, "some people would try their best but the worst would still happen." Guided by an old tradition, they bring LaRose to live with the Raviches as a replacement for Dusty. "Bad luck rarely stops with one occurrence. All Indians know that. To stop it quickly takes great effort, which is why LaRose was sent." Slowly the two families develop new bonds, their members struggling with grief and anger, despair and love, in the context of the broader community: the elders who Landreaux visits as a home health aide, the church, hospital and schools, and Landreaux's crippled childhood friend, Romeo, who spies on everyone. He nurtures a poisonous resentment of Landreaux and searches for a way to destroy him. Shelf Talker: This is a masterly novel of family, community and the complex individual ways people survive unbearable losses and evolving love.